Smart striped stair carpet complimented by a plain bordered rug with double bound trim. A smart but relaxed style was requested for this basement kitchen and family dining area. A general continuity was achieved by using a loop pile texture in all areas. Variation in colour and pattern however provided a distinction between kitchen and dining spaces. 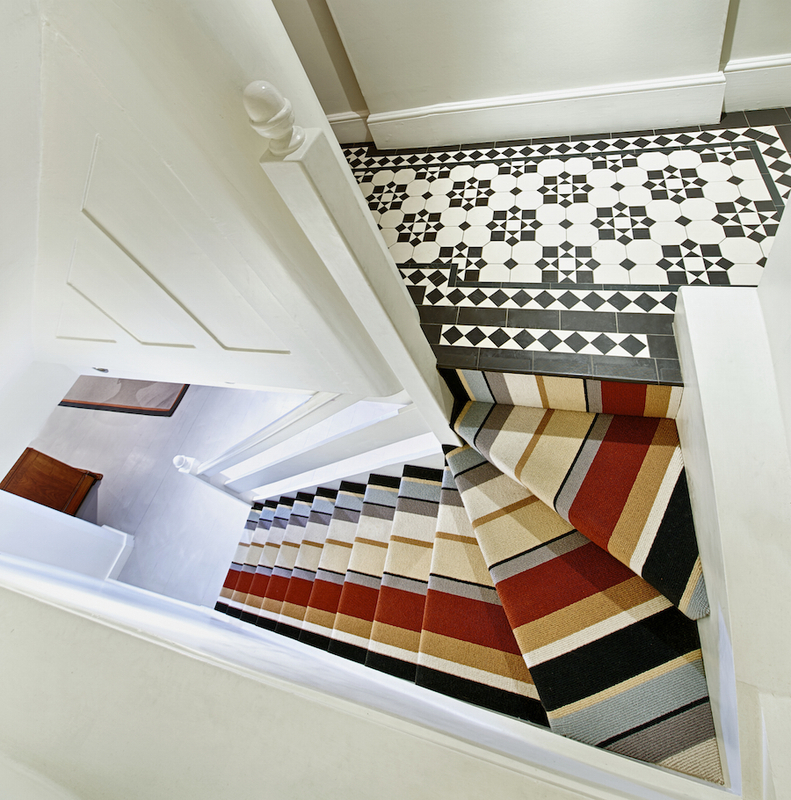 The colours in the striped stair carpet perfectly complimented the hallway tiles above and kitchen joinery below. 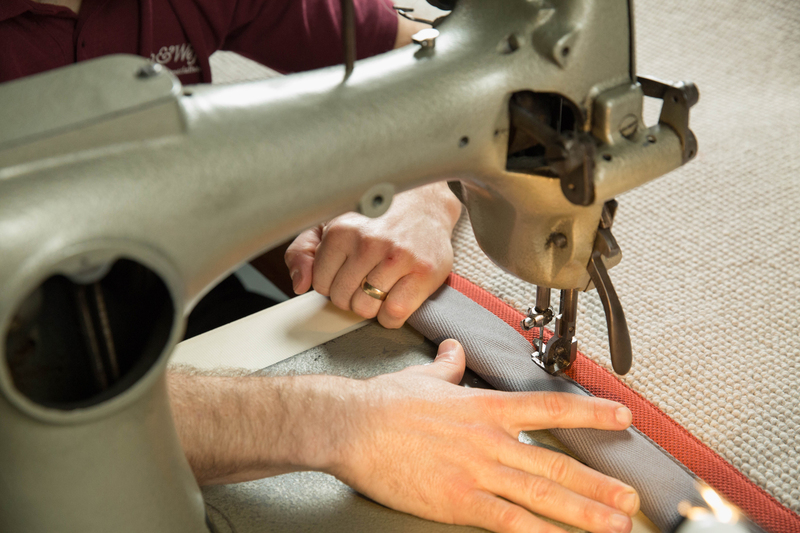 A large dining room rug was created in our own workshop by bordering a 100% wool carpet with two cotton binding tapes. 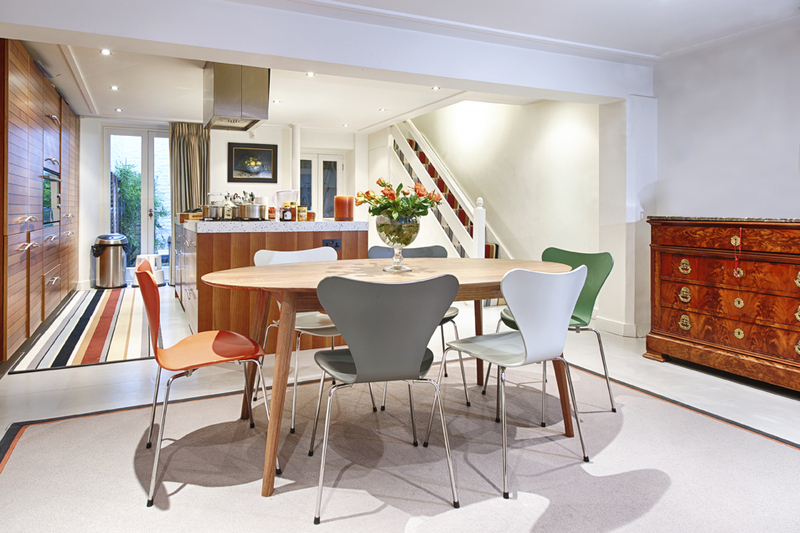 Grey and ochre shades were specifically chosen to coordinate with two of the eclectic coloured dining chairs. Solid foam underlay was fitted beneath the stair carpet whilst an anti-slip underlay was attached to both rugs to hold them in place in these heavy traffic areas. The striped stair carpet provides a striking entrance to the kitchen. The carpet was specifically cut to have a black stripe on either side as a border. 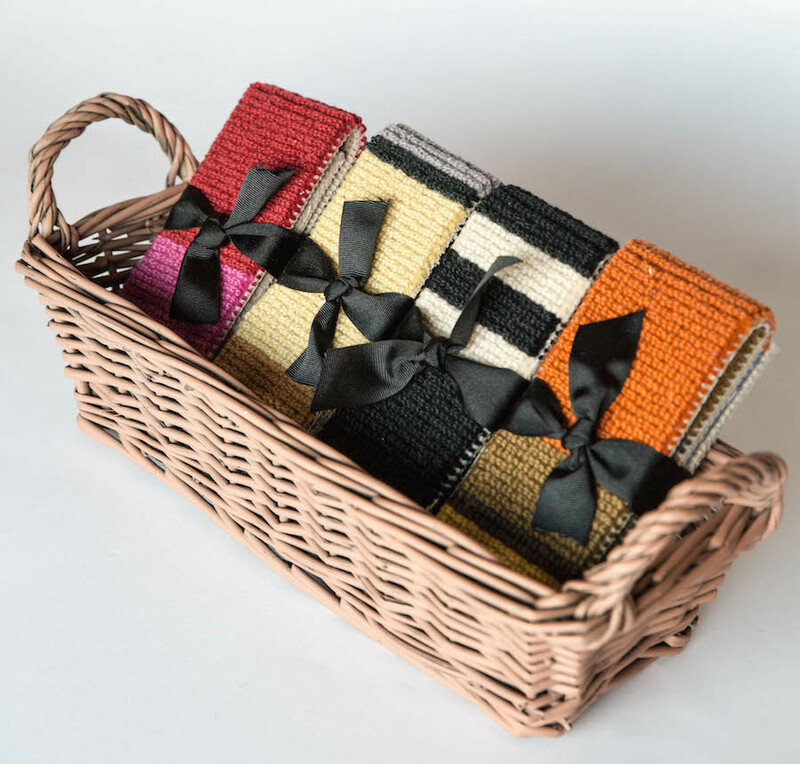 Four options were available in this 100% wool carpet. Two cottons were machine sewn to create a smart border. 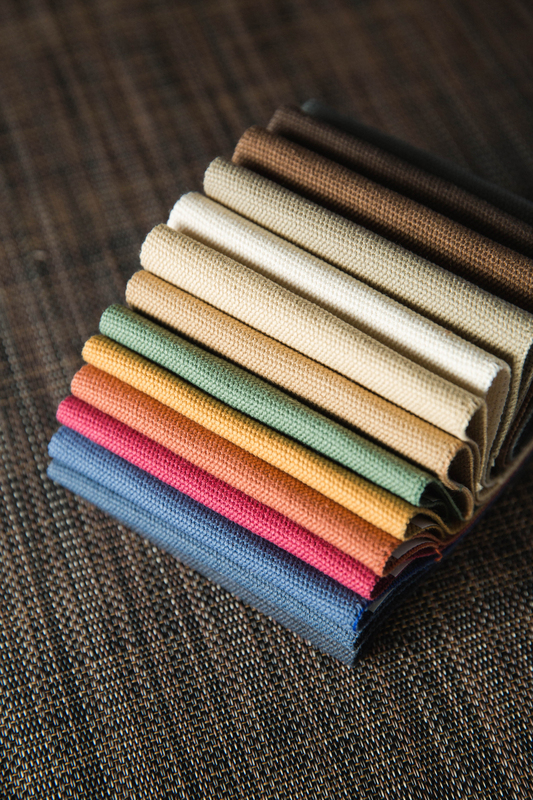 The border was chosen from an extensive range of cotton, linen and faux suede fabrics.